Discover the Anno Collection, gathering the best games of Anno franchise. Lay claim to the New World in an epic saga of adventure and discovery. 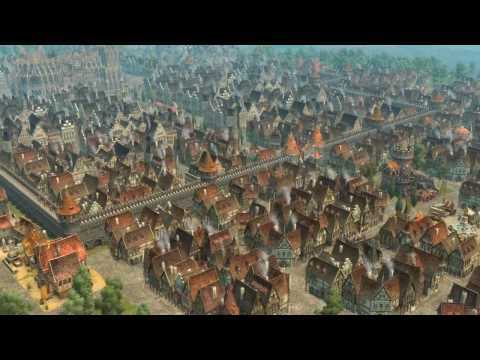 ANNO 1503 is a PC title that blends the excitement of real-time strategy with the depth of empire building. The aim of the game is to establish colonies and seek out wealth and power. Watch your colonies grow while establishing trade and diplomatic ties with neighbouring cultures. Engage in combat on land and at sea to protect your colonies or to maintain freedom and independence. Experience the award-winning combination of city building, commerce, discovery, diplomacy and combat. Create your own nation with a unique blend of simulation and real-time strategy. Journey across the globe to explore, trade and learn technologies to expand your empire and to make your own history. With its extensive and immersive campaign, Dawn of Discovery: Gold Edition guarantees never-ending gaming fun for novices and experts alike. Dawn of Discovery: Gold Edition includes the original Dawn of Discovery and the Dawn of Discovery: Venice add-on in the highly acclaimed game that just got better. 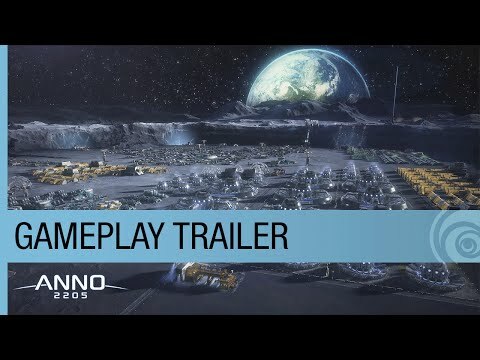 Building upon the other titles in the award-winning Anno series, Anno 2070 offers a host of new challenges. It is the year 2070, and everything has changed. Rising oceans and climate change have warped the landscape and created large expanses of inhospitable land. Hone your resource management, diplomacy and trading skills in this city-building strategy game as you participate in the Anno series’ deepest economic system yet. Colonize islands and design massive, sprawling cities to house your own futuristic society. The choices you make define the world you create, making you the ultimate architect of your society’s future. Download Anno 2070 Complete Edition for PC to access the Anno 2070 Deep Ocean add-on. Dive deep underwater to gain control of the rising Tech Genius faction. Harness geothermal energy from Earth’s core to power your cities above the waterline, and face the challenges and risks of such a powerful form of energy. Erect over 30 new underwater buildings, including the Tech monument, an architectural masterpiece that ultimately lies at the heart of every city. The Deep Ocean expansion also provides over 150 new quests as well as the Hostile Takeover feature, which allows you to expand your territory. Download Anno 2070 DLC packs to unlock a host of new missions, skins, buildings, ornamental decorations and world events that shape the world you create. The E.V.E. package provides an updated UI for the game, while the Silent Running package gives you access to a nuclear submarine that provides valuable long-range missile capabilities. Explore Former technologies in the Eden Project DLC pack, and face the ramifications of a worldwide financial crisis in the Global Distrust package. Whether you engage in conflict or beautify your cities with green technology, each Anno 2070 DLC pack enriches gameplay and the function of your cities. Two primary factions, each of which have very different approaches to survival, dominate in Anno 2070: the environmentally conscious Ecos and the industry-loving Tycoons. The Tycoon faction depends upon pollution-causing industry and fossil fuels to grow their economy quickly, but resources dwindle rapidly. The nature-loving Ecos focus on renewable energy sources and green technology, leading to a stable economy but much slower economic growth. Decide whether you will embrace the efficiency and industriousness of the Tycoons or the sustainability and eco-friendliness of the Ecos as you build your cities, expand your territory and shape the future of the world you create. Experience a dynamic, evolving world as you create civilizations and manage their resource consumption. The choices you make while building massive cities, colonizing islands and utilizing resources ripple throughout the game, affecting the environment, the population and the architectural appearance of your cities. Pay the price of rapid industrial growth as pollution leads to detrimental climate change, or face resource shortages as rapid territorial expansion stresses the fragile ecosystem. Watch your island and underwater colonies ebb and flow in response to every decision you make, and strive to balance your quest for economic success with the needs of your population.